OUR DAILY MANNA 10 FEBRUARY, 2019 – SHE BREAST-FED ANOTHER PERSON’S CHILD! TOPIC: SHE BREAST-FED ANOTHER PERSON’S CHILD! Philippine Airlines flight attendant, Patricia Organo, went above and beyond the call of duty in mid November 2018, when she breast-fed a wailing infant on a domestic flight after the baby’s mother had run out of formula (baby formula or baby milk is a manufactured food designed and marketed for feeding to babies and infants under 12 months of age, usually prepared for bottle-feeding or cup-feeding from powder or liquid). She informed the flight’s line administrator, Sheryl Villaflor, of her plan – then she approached the mother again to BREAST-FEED THE BABY! Wow! SHE BREAST-FEED ANOTHER PERSON’S CHILD! The Holy Ghost wants you to know that everybody on planet earth has a “child.” Yes! A “child” in this context can be a DREAM, a Goal and Hope for tomorrow! And the Lord is using today’s devotional to ask you to HELP SOMEONE’S CHILD” (their goals, dreams, talents, etc) to live! YOU HAVE A GIFT FROM GOD WHICH OTHERS DO NOT HAVE! There is something SPECIAL about you that can “BREAST-FEED” (save) the LIFE OF ANOTHER PERSON’S CHILD!” Yes! READ Our Daily Manna For Champions 5th September 2018 - TOPIC: THE CRACK! FLAWS TO FLOWERS! YOU ARE A SOLUTION TO SOMEONE ON THIS PLANET! Save a “child” (the dream, vision and mission of another person) like Joseph who interpreted the dream of others when his own dream was passing through delay (today’s scripture)! BE A SOLUTION WHEREVER YOU GO today or this year! Millions are passing through problems/battles! DON’T ADD TO THEIR BATTLES! The problem is a problem; that is why it is called a problem! Stop dwelling on problems! DWELL ON SOLUTIONS! Obstacles, challenges, problems will happen! It’s life! We will never have a smooth journey to success always! Instead, choose to embrace challenges. Ignore the negativity and drama that comes with it, and remind yourself often that it is the solution that matters – it is the only thing that matters! Be a SOLUTION! Help “BREAST-FEED” other people’s dreams and yours will never die! 1. In your own words, pray about today’s word as led now. OUR DAILY MANNA 10 FEBRUARY, 2019 – SHE BREAST-FED ANOTHER PERSON’S CHILD! 2. I choose to be a SOLUTION CENTER this year! I shall not be an agent of TROUBLE for others! I shall focus on SOLUTIONS to PROBLEMS wherever I go today! So help me God in Jesus name. OUR DAILY MANNA 10 FEBRUARY, 2019 – SHE BREAST-FED ANOTHER PERSON’S CHILD! 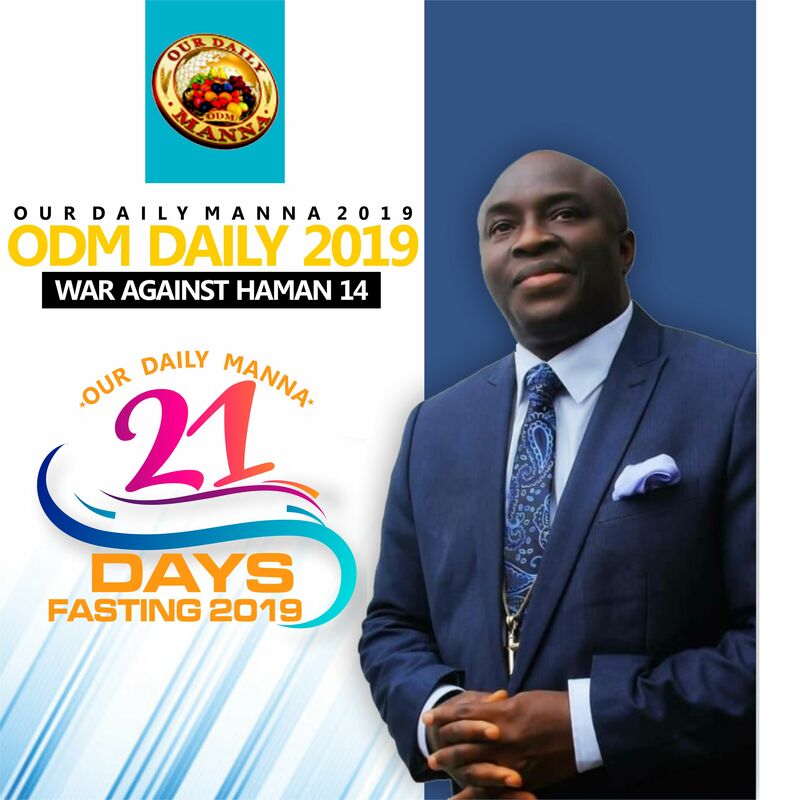 Previous Post:Our Daily Manna ODM Today 9 February 2019 – STOP THE WEEPING! YOUR “MATTHIAS” IS COMING! I don’t understand what’s going on. I tried studying odm yesterday but it didn’t show 10th Feb. I tried again today ,it showed 10th Feb but didn’t show 11th Feb which is today. Is it just my devices or is someone else affected by this? ?